sorry… four? gc, gccgo, llgo. what’s the fourth implementation ? The fourth implementation is the SSA interpreter built by Robert Griesemer and Alan Donovan. It’s not a compiler as it does not produce executables, but it does interpret and execute Go code according to the specification. 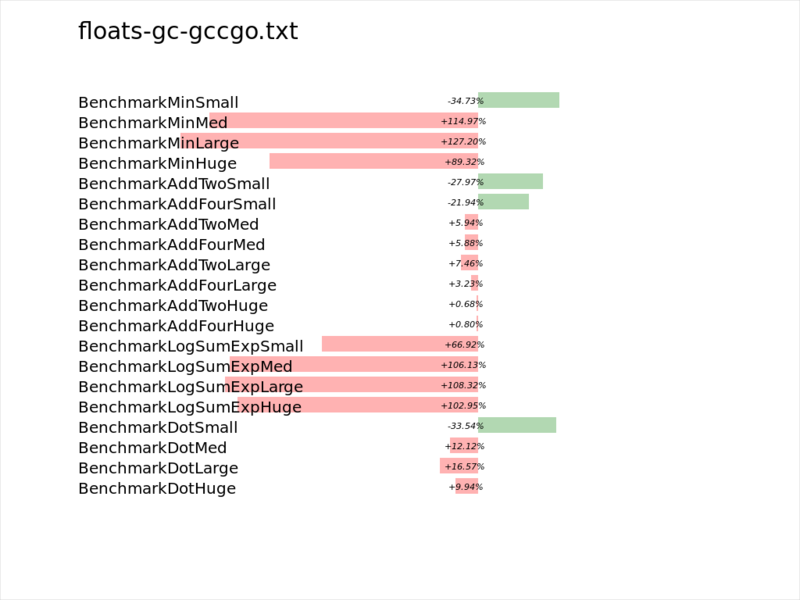 Does red mean gccgo was faster than gc, or the other way around? 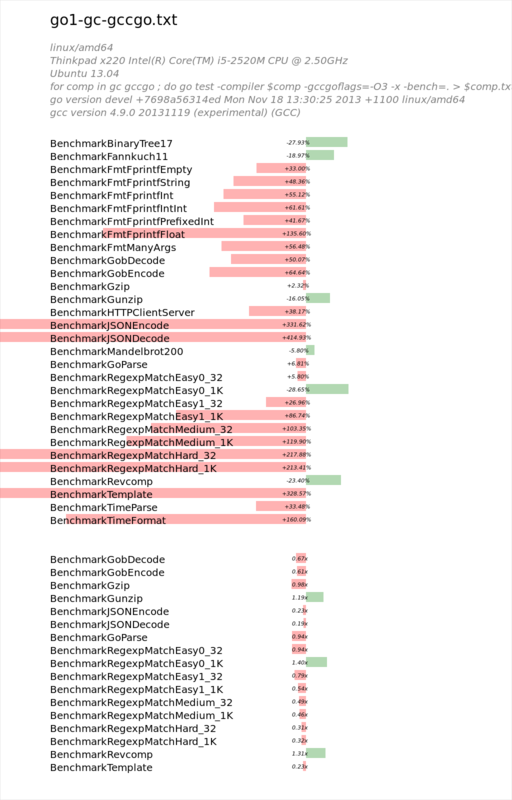 Red means that the gccgo compared to gc took longer to execute the benchmark, or had lower throughput. Nope, gc has optimization flags, but they are always enabled by default. If you wanted to do some experiments use -N -l to disabled the optimisation, escape analysis and inlining passes.